NEW YORK (AP) — Greed motivated a Hong Kong businessman to line the pockets of government officials in two African nations — bribes intended to land lucrative business deals and oil rights for a Chinese energy conglomerate, federal prosecutors told a jury Monday. “This is a bribery case with no bribe,” the attorney, Benjamin Rosenberg, said in his opening statement. The payments Ho made to government officials, including the president of Chad and the Ugandan foreign minister, were intended only to generate goodwill and long-term relationships, he said. The conflicting portrayals of Ho came on the first day of trial in a United Nations-linked case that has drawn international attention. Ho has pleaded not guilty to charges of conspiracy, money laundering and violating the Foreign Corrupt Practices Act. 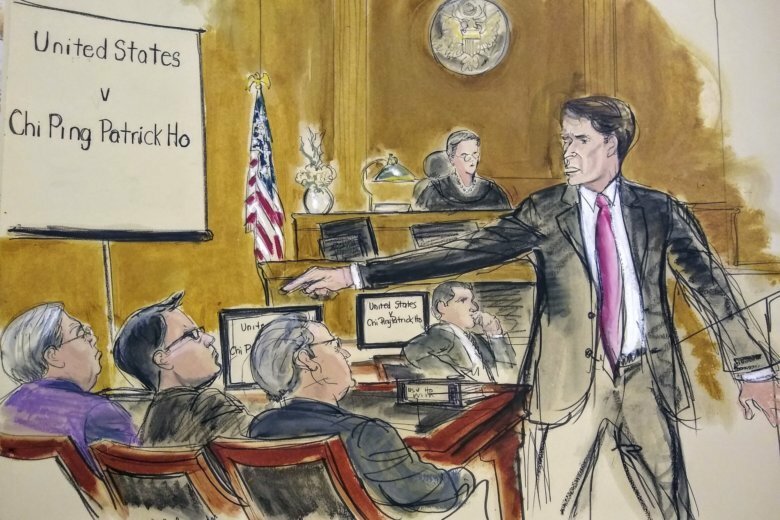 Ho’s defense team agreed before trial that it will not try to argue the U.S. brought the case against Ho, a former home affairs secretary in Hong Kong, as part of a broader campaign against China, or that the timing of the prosecution was part of a broader political agenda. Prosecutors said Ho gained access to prominent officials through his role leading a nongovernmental organization funded by the oil and gas conglomerate CEFC China Energy. They said Ho tried to disguise the bribes as charitable donations, even though he concealed one of the initial payments as cash in gift boxes. The case focuses on two schemes prosecutors said involve the same “playbook,” in which Ho scouted potential business opportunities and then used his connections to arrange high-level meetings with government officials in a position to steer business to CEFC. One of the bribes “backfired,” Hayden said, when the president of Chad, Idriss Deby, became furious and demanded to know why Ho had attempted to pay him off. Rosenberg countered that cash was not necessarily a suspicious form of payment given the “circumstances in Chad.” He told jurors they should not trust a key government witness, Cheikh Gadio, a former co-defendant in the case who agreed to testify against Ho under a nonprosecution agreement. Prosecutors said they intend to present emails, text messages and financial records as part of their case, as well as Ho’s voice captured on a recorded call. Testimony begins Tuesday morning before U.S. District Judge Loretta Preska.